The flight went well, however the tape holding the motor in let go instead of the shear pins resulting in a lawn dart from 300 meters, only to be saved by the main chute poping at 500 feet. The other problem was that I did not have enough recovery wadding which resulted in the parachute getting toasted. Flight recorder data shows that it experienced approximately 140gs upon deploy at around 275mph. 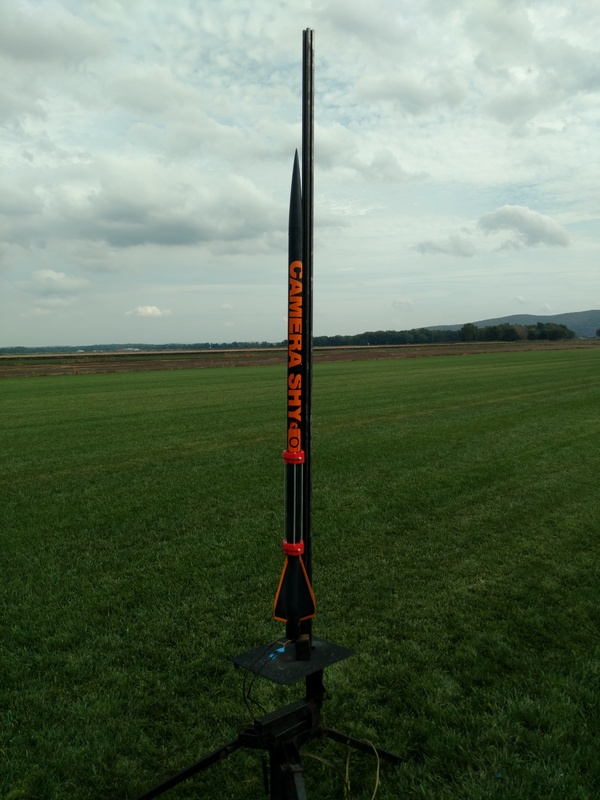 All damage has been repaired and it is ready for it’s maiden flight on the I1299 in Potter, ANY on October 28th.